>This versatile flexible clamp securely attaches to support stands, lab frames, and most support rods. The unique, flexible arm can be placed in virtually any position or angle. 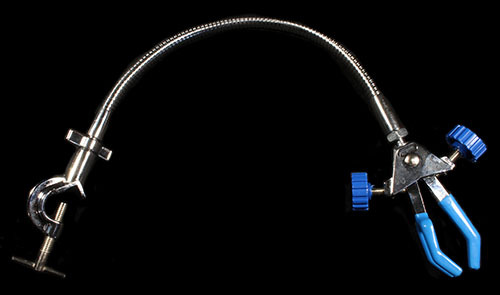 Features a 3-prong clamp head, nickel plated flex arm, and a cast-alloy lab frame connector.